Troy James Hardie Siding | Troy James Hardie | Troy James Hardy Siding | Troy James Hardie Fiber Cement SidingMcGlinch & Sons CO.
No one has control over the weather. As a result, McGlinch & Sons Co. Home Improvements suggests that its customers in the Greater Detroit Metropolitan Area and Southern Michigan select the best siding in the industry to protect their properties against severe climate events and damage from precipitation. They recommend they choose James Hardie Fiber Cement Siding products that resists rotting, warping and delamination. Not only will James Hardie Siding protect your home against hail damage and flying debris, but it can withstand winds up to 150 mph! 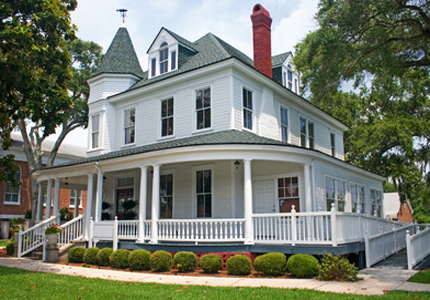 Since 1917, McGlinch & Sons has been a certified installer of James Hardie Siding. It is no wonder that our Troy customers persist in returning again and again for America’s #1 Brand of Siding – James Hardie Siding, because it improves the beauty, safety and durability of their homes, in addition to improving their home’s value and curb appeal! McGlinch & Sons’ James Hardie Siding outperforms both vinyl and wood siding since it is five times thicker than vinyl, noncombustible, fade resistant and weather resistant! Our James Hardie Siding never needs scraping or repainting, and because it eliminates moisture, it will never rot from rain or snow or excessive humidity. Also, James Hardie Siding stood up to Hurricane Sandy on the Eastern Seaboard, so it can stand up to any severe storm or wind event Michigan has to offer! Besides that, James Hardie Fiber Cement Siding is frequently stipulated by building codes for buildings in hurricane-, tornado- and wildfire-prone areas. James Hardie Siding will shield your exterior while also protecting your property. To learn more about James Hardie products, call McGlinch & Sons today at: (248) 987-6300.